Service robotics will show far more disruptive effects on the competitiveness of non-manufacturing industries and the growth in these areas over the coming decade will be much more dramatic. Although accounting for a small fraction in terms of total sales volume of service robots, professional applications of service robots grab over 65% of the total sales revenue generated from service robots. Professional service robots will continue to dominate the service robot market, with medical robots leading gains, particularly in developed countries. Global professional service robot sales revenue is expected to grow by 11.9% annually in the coming 2015-2020 years. Global Professional Service Robots Market – Analysis and Trends to 2020 examines the worldwide market of specialized robotics for industrial non-manufacture applications and commercial uses through a comprehensive review and analysis of information sources. 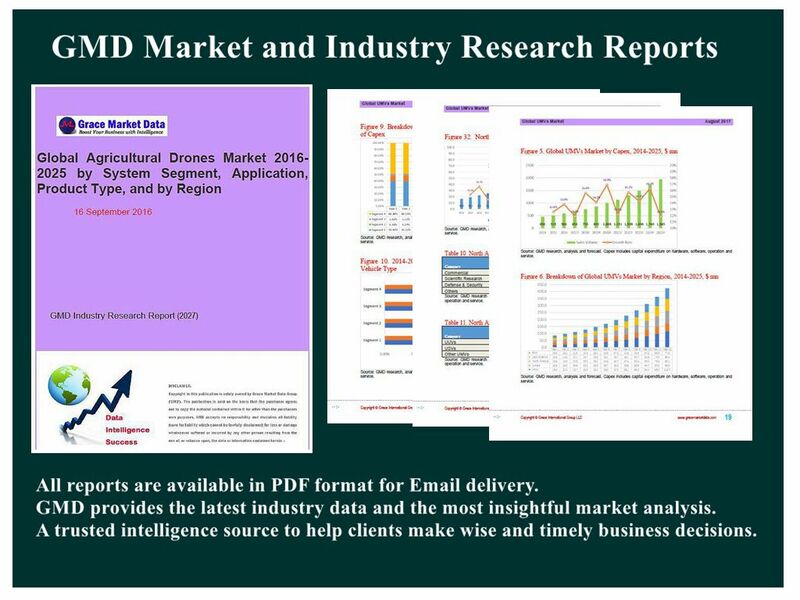 This report provides market environments, qualitative analysis of market forces, quantitative studies of worldwide professional service robots market by application field, and profound research of global geographic distribution of professional robotics markets. In most analysis, historical statistics together with market outlook cover the 2012-2020 period. Qualitative market analyses include identification and evaluation of key growth drivers, market restraints and challenges, emerging market opportunities, Porter’s Fiver Forces as well as M&A landscape and funding trend (IPO and VCI). By application field, worldwide professional service robot markets are divided into Defense, Field, Medical Applications, Logistics, Mobile Robot Platforms, Construction and Demolition, Professional Cleaning, Inspection and Maintenance, Underwater System, Rescue and Security, and other applications. The most valuable and promising market is medical robotics mainly used as surgery assistance. Other important markets include military robots (Unmanned Aerial Vehicles, Unmanned Ground Vehicles, and Demining Robots), milking robots, logistics robots, mobile robots, cleaning robots, inspection and security robotics. Geographically speaking, American market represents the largest share of the global pie, and also the most innovative region for professional service robots. However, best market opportunities are expected in APAC region which currently ranks the second on revenue size and will expand its global share over the coming years. Europe is the third largest market followed by the rest of world region. Important country markets such as US, Japan, and China are analyzed specifically regarding market overview, industry landscape, and developing trends. The market data and outlook trends are highlighted by 6 tables and 17 figures. The global leading providers of professional service robots in 2015 are listed and profiled.